Bagatelle Ibiza is one of the latest offerings from the Bagatelle stable which also includes iconic restaurants in locations like New York, Miami, St. Tropez, St. Barth, Dubai, Rio de Janeiro, and Sao Paulo. 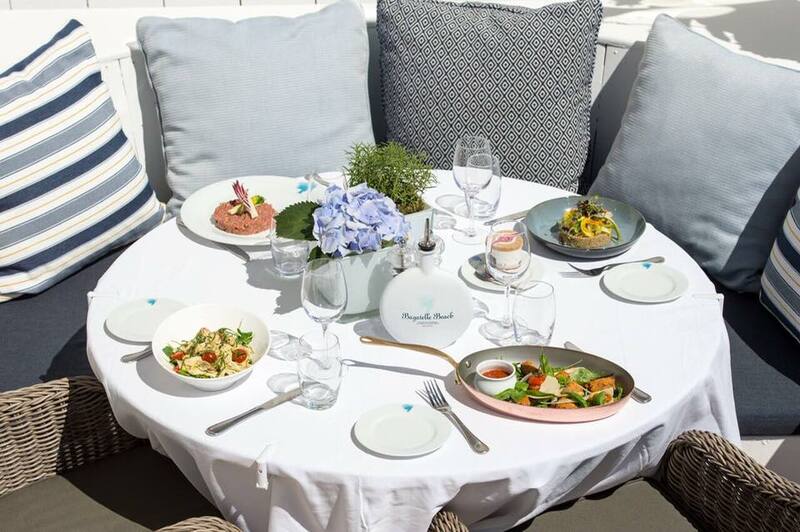 The focus of Bagatelle Ibiza is similar to the other restaurants of the brand - offering unique and luxurious dining in a glamorous pool and beachfront setting. For Bagatelle Ibiza, that means lots of sun and beach and an atmosphere where that party of your life is only moments away. It is a brand-new restaurant that only opened in late June 2017 so it is still finding its feet and establishing a clientele. The picturesque setting combined with the great food are proving to be a big hit so far. While the Bagatelle brand is known for creating stunning and comfortable restaurant locations, huge importance is also given to the food. At Bagatelle Ibiza, the style is a mixture of European influences including French, Mediterranean, and Italian. Some of the highlights include the whole fish dishes where the fish is deboned at your table. The truffle pizza is another favorite as well as the signature carpaccio and tartares that are always a hit. Haute Italian Dining, with a Modern Twist in Ibiza.